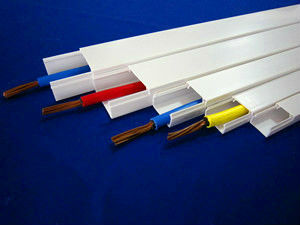 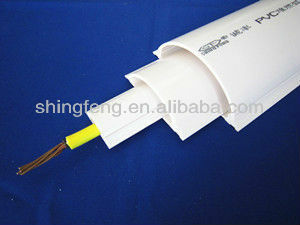 6).Use: For internal wiring,protecting the wire under 1200v. 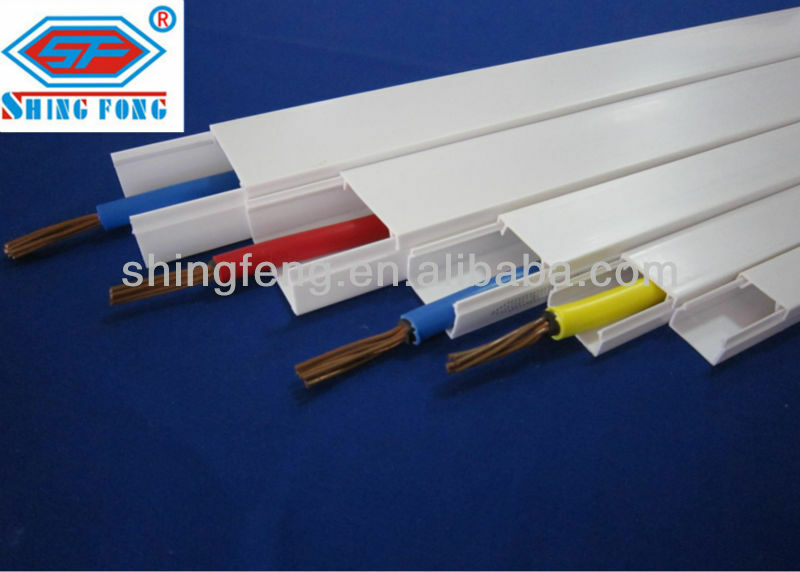 7).Effect: After using,wiring easily and trimly,installing reliably,and is convenient for maintaining and searching and exchanging. 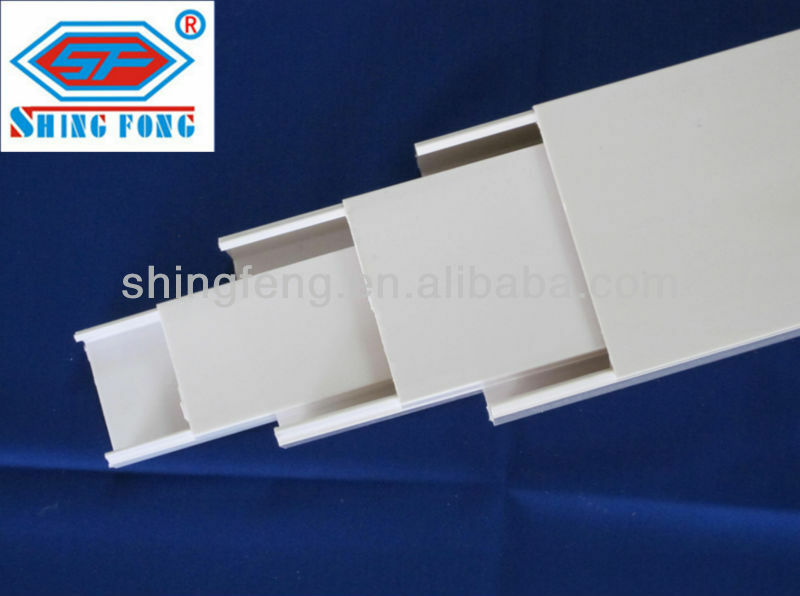 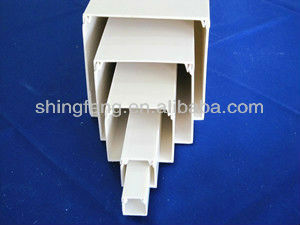 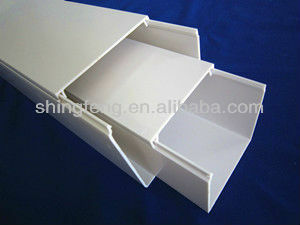 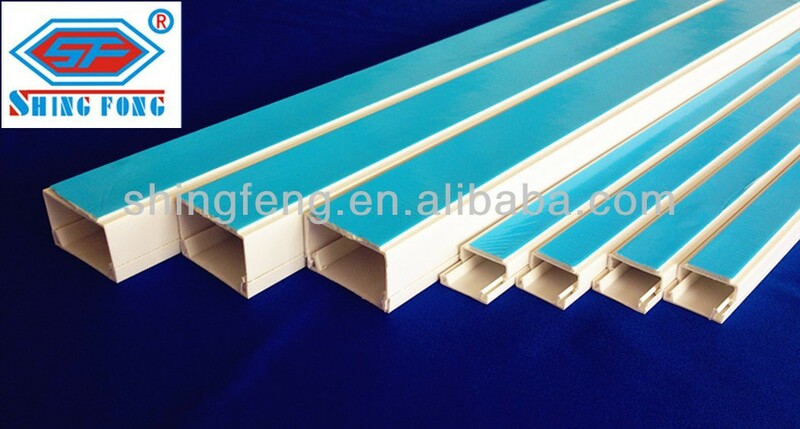 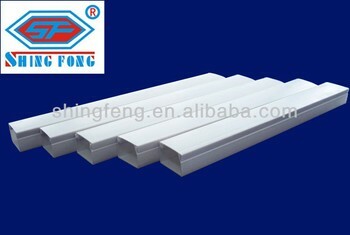 8).Lifetime: ShingFong brand of PVC pipes and PVC trunking are Anti-aging,normal use life can be up to 50 years. 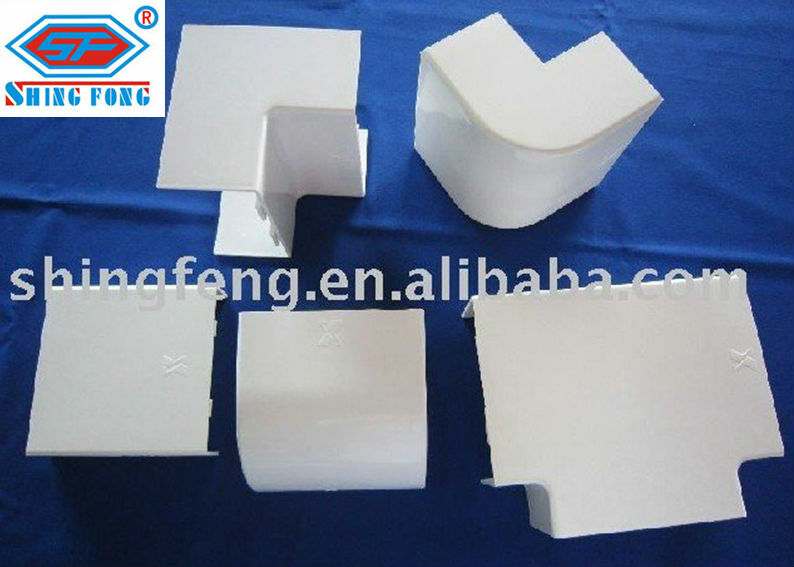 9).Thickness: With appropriate temperature and accurate molds machinery technology, the thickness,size,shape can be precisely controlled. 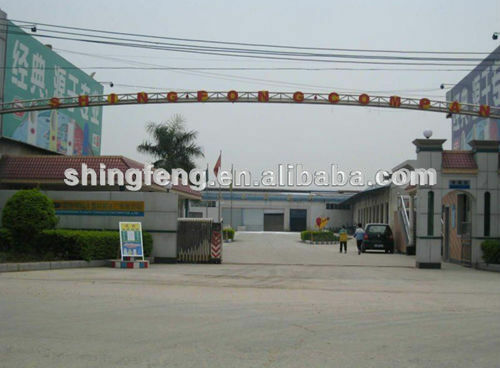 Resistant to acids, bases and salts, lower maintenance cost and longer useful life. 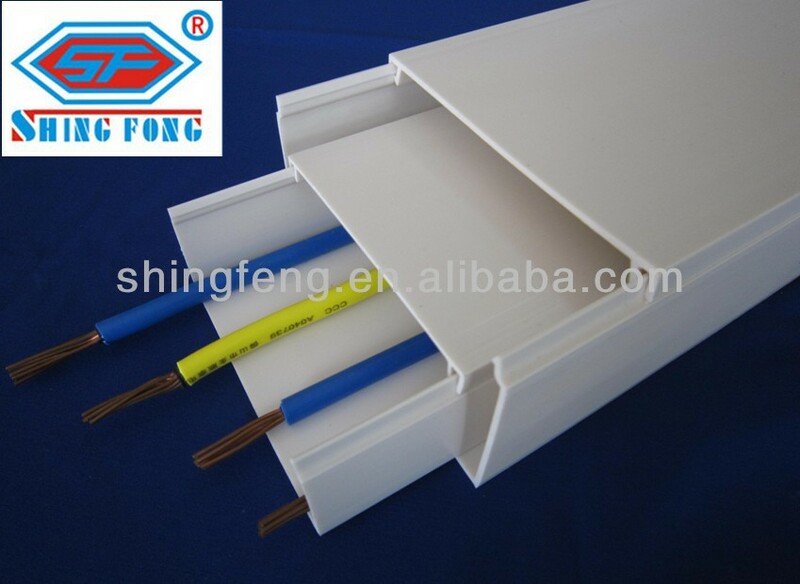 4.We can make any colours,any quantity of wire and cable cover you want,with adhesive or without adhesive.We have pvc cable duct fittings,such as flat angle,internal angle,external angle,flat tee,coupler,terminal. 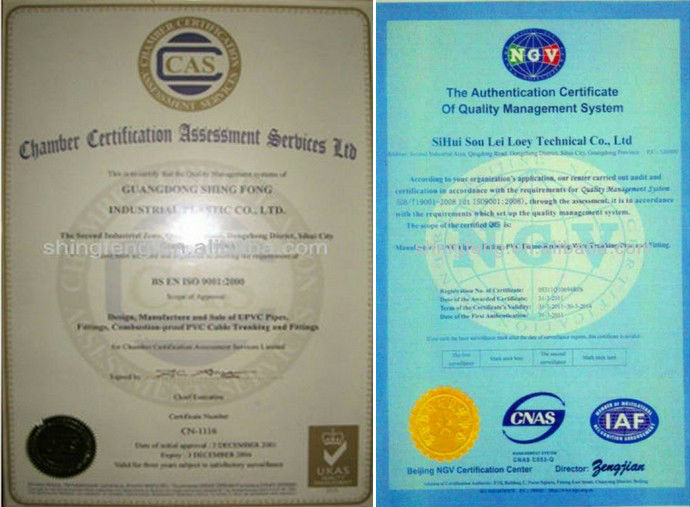 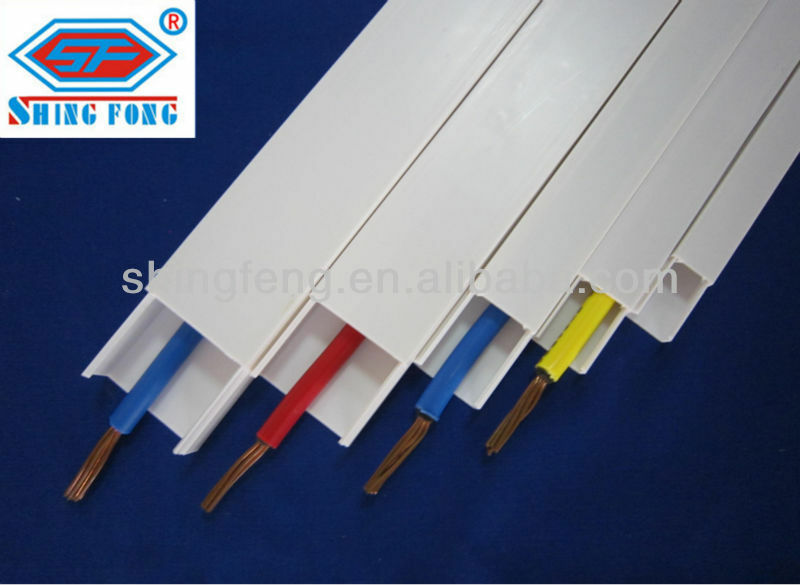 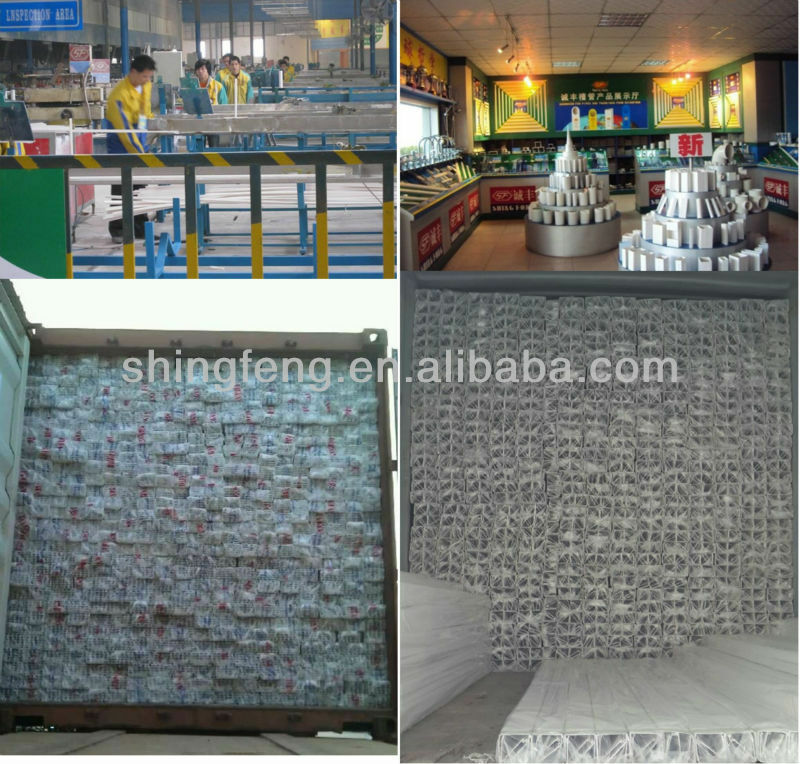 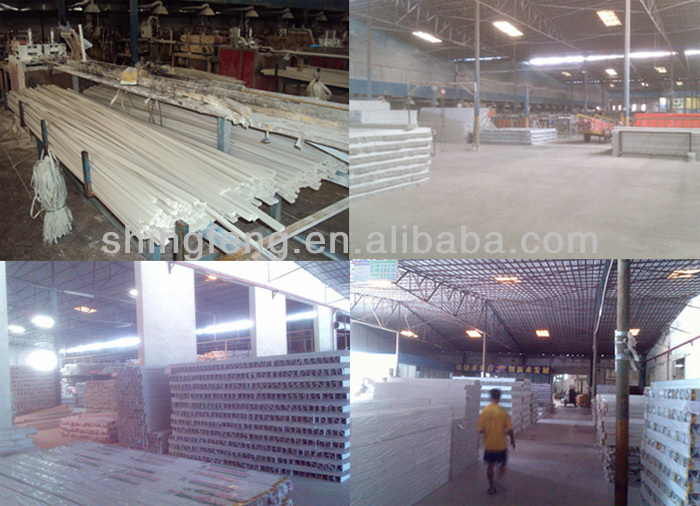 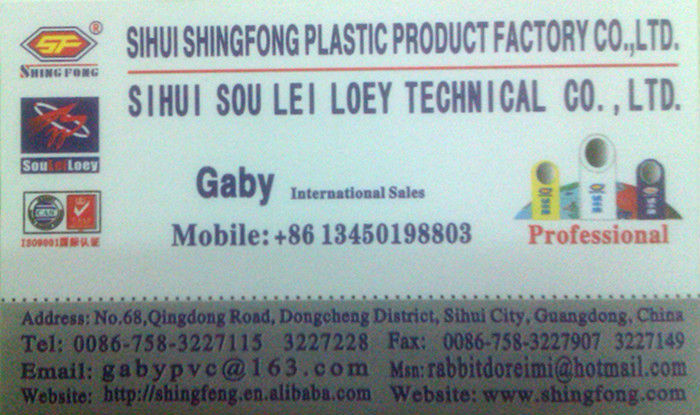 2).QC:Our QC members who are strict, experienced and technical..
4).Packaging Details:pvc cable trunking 25pcs in one bundle, each bundle in one plastic printing bag or meet your request.